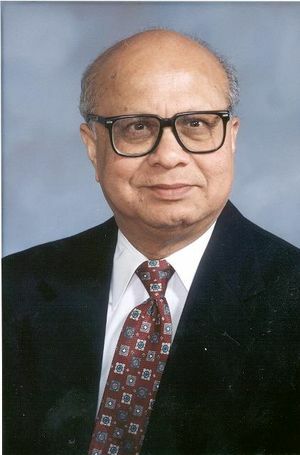 Dr. Bimal K. Bose (Life Fellow, IEEE) is professor emeritus at the University of Tennessee, Knoxville, where he held the endowed Condra Chair of Excellence in Power Electronics from 1987 to 2003. There he was responsible for organizing teaching and research in power electronics and motor drives. Concurrently, he held the positions of Distinguished Scientist (1989-2000) and Chief Scientist (1987-89) of the EPRI-Power Electronics Applications Center in Knoxville. Prior to this, Bose was a research engineer in General Electric's Corporate Research and Development laboratories in Schenectady, New York (1976-87); Associate Professor of Electrical Engineering, Rensselaer Polytechnic Institute, Troy, NY (1971-1976), and faculty member of Bengal Engineering College (now Indian Institute of Engineering Science and Technology [IIEST] (1960-71). Dr. Bose is recognized as a world-renowned authority and pioneer for his extensive research contributions in power electronics and motor drives that include power converters, PWM techniques, microcomputer/DSP control, electric/hybrid vehicle drives, renewable energy systems, and artificial intelligence (expert system, fuzzy logic and neural network) applications in power electronics and motor drives. He has been a power electronics consultant in a large number of industries. He is an Honorary Professor of Shanghai University (1991), China University of Mining and Technology (1996), Xi'an Mining Institute, where he is also Honorary Director of the Electrical Engineering Institute (1998); Guest Professor at Huazhong University of Science and Technology (2002); and Senior Adviser to the Beijing Power Electronics Research and Development Center (1990). He was also Visiting Professor in Aalborg University, Denmark (1997); University of Padova, Italy (2003); China University of Mining and Technology, Beijing (2005); Federal University of Mato Grosso Sul, Brazil (2006); University of Seville, Spain (2009); the European PhD School on Power Electronics, Italy (2010); and National Cheng-Kung University, Taiwan (2012). He has authored more than 250 technical papers and holds 21 U.S. patents. He has written or edited seven books in power electronics: Advances and Trends in Power Electronics and Motor Drives (2006), Modern Power Electronics and AC Drives (2001), Power Electronics and Variable Frequency Drives (1997), Modern Power Electronics (1992), Microcomputer Control of Power Electronics and Drives (1987), Power Electronics and AC Drives (1986), and Adjustable Speed AC Drive Systems (1981). He was the guest editor of the Proceedings of the IEEE's “Special Issue on Power Electronics and Motion Control” (August 1994). He was a member of the editorial board of the Proceedings of the IEEE from 1995 to 2006. He has served as Distinguished Lecturer of both the Industry Applications (IA) and Industrial Electronics (IE) Societies of the IEEE, and has served the IEEE in many other positions. He has given invited presentations, keynote addresses, and advanced tutorials extensively throughout the world. In philanthropic activities, Dr. Bose has funded the Bimal Bose Award for the Institute of Electrical and Telecommunications Engineers (IETE) in India since 1986. Given annually for an original, outstanding contribution in the field of power electronics, the award consists of 30,000 rupees, a citation, and a travel subsidy of 5,000 rupees. The recipient is also invited to deliver a paper at one of IETE's centers. He also donated a seminar hall, open stage, and 47 annual student and many other scholarships to his village high school, Bhita Mahendra Public Institution, Burdwan, West Bengal, India. He established the annual Bimal Bose Distinguished Lecture Award in IIEST, India, in 2010. He is also a regular donor to GRABUU (Gram Bangla Unnayan Udyog), West Bengal, India which has the mission “to Fight Hunger and Poverty and to Empower Change” among the villagers. IEEE Bimal Bose Award for Industrial Electronics Applications in Energy Systems. This page was last edited on 15 December 2016, at 16:48.